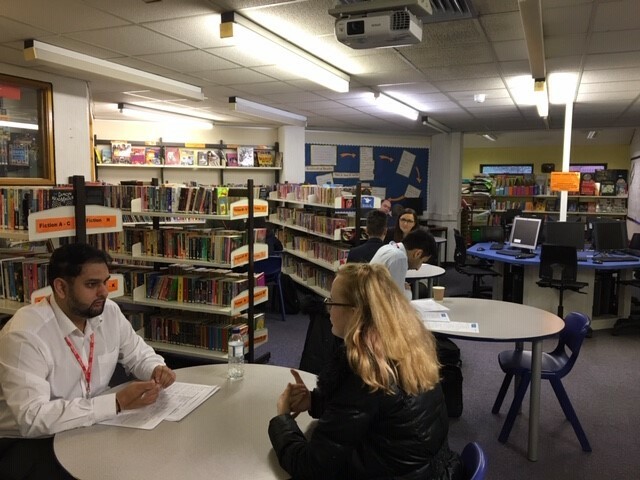 On Wednesday, Year 11 students each had a one-to-one mock interview with an employer to help them prepare for the transition to sixth form, college or an apprenticeship. Visiting employers included representatives from Jaguar Landrover, Network Rail, Spoon Cereals, Pet-Xi, Coventry University and the Department for Work & Pensions. The employers asked the students some of the most likely interview questions about topics such as their career ideas, strengths, achievements, and much more! They then coached them individually to help them answer these questions more proficiently. This was an opportunity for the students to get used to dealing with an interview situation and talking to someone different; it also gave them the chance to think more deeply about their individual skills and qualities and learn how to present themselves to interviewers. Each student received verbal and written feedback from the employer to help consolidate the messages they received. We hope that this opportunity will better prepare our students for life beyond school and would like to thank all the employers who gave up their valuable time to help our students so ably.